A trip to PARIS !!! Win a trip to Paris thanks to 1st Choice! Includes a free visit to the Paris Animal Show! To enter, simply subscribe to the SNAC newsletter! 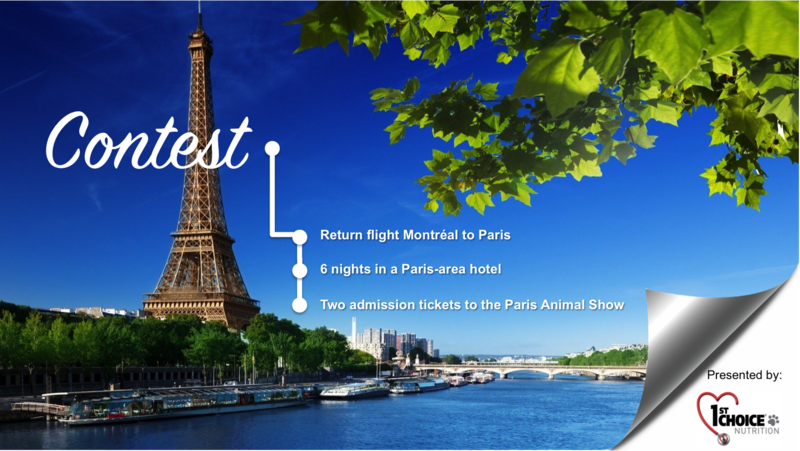 The renowned premium cat and dog food 1st Choice is celebrating its 30th birthday in 2020 and took the opportunity to organize a fabulous giveaway: a trip for two to the City of Lights in October 2020 where you will notably visit the Paris Animal-Show! Walk up and down the Champs-Élysées, climb the Eiffel Tower, have a coffee break at Deux Magots. . . and much more, thanks to 1st Choice !